Due to the potential public issues that could emerge, hospitals, pharmacies and doctors offices are under strict requirements from the Centers for Disease Control regarding proper temperature controls for vaccine storage and handling. According to the CDC, in order to remain compliant and keep patients safe, healthcare and medical storage facilities must monitor the temperature of both the freezer and refrigeration unit in which vaccines are stored. The figures associated with these systems' vaccine temperature monitors need to be checked recorded twice daily, both at the start and end of the workday. Organizations must maintain a temperature log to be kept on the door of the cold storage unit and keep previous logs for a minimum of three years. Even if an organization has temperature monitoring systems in place, the CDC still requires employees to check these levels daily and keep an accurate record. However, when an office is closed, the technology system will be relied upon to keep temperature data. In the event of a power outage, such a system should include an alarm or alert which notifies personnel so they can ensure vaccines are continually kept at a safe temperature. The CDC also stated that manually recording these figures gives employees a regularly scheduled time during which they can inspect the storage unit for unsafe conditions and cleanliness, as well as provide an opportunity for vaccine reorganization. Additionally, medical safety expert Steve Field told Practice? Business that in the past, facilities have been reprimanded for not monitoring vaccine storage system temperatures. 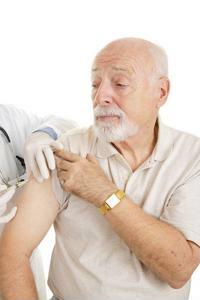 During manual recording processes, employees should also closely inspect the vaccines themselves. "As well as monitoring temperatures, the expiration date should also be regularly checked," Field said, according to the source. Vaccine temperature monitors available today offer organizations a way to remain compliant with the above mentioned guidelines and guarantee safe inoculation of patients. Such systems keep storage units within safe temperature zones and also automatically record data relating to the levels of the cooling mechanism. Additionally, this technology allows users to reset statistics back to zero when necessary, but continually stores all previous temperature data for safekeeping. Monitors can be configured to keep a refrigerator or freezer within certain predetermined temperature degrees and also remain in operation in the event of a power failure. In such a case, an IT employee or administrator can be contacted by the system so he or she is aware of any interruption in electricity sources. This is in step with CDC guidelines for vaccine safety compliance.